Just when I thought things couldn’t get any better, I received a pasta machine as my birthday gift from my friends. I was extremely happy and excited! I have been wanting one ever since I bought “The Art of Pasta” recipe book. After watching many seasons of Masterchef Australia, I’ve always wanted to try to make my own pasta. Since it’s quite a demanding task to roll the pasta dough by hand, owning a pasta machine would be handy. 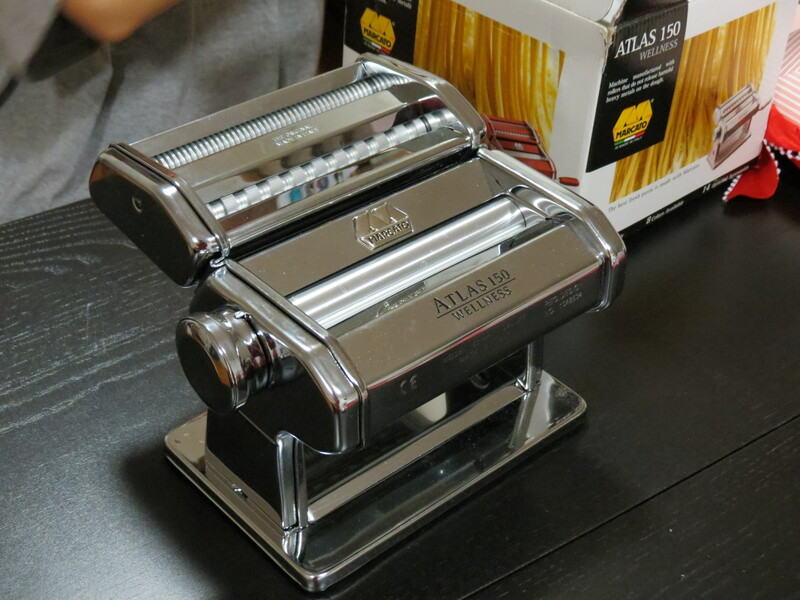 There are lot of pasta machines available in the market with prices starting as low as $20 up to over $100. I’ve done a bit of research and also surveyed around my workplace asking for tips on choosing the right pasta machine. Everyone had their own opinions. Some said that cheap ones will get the job done while some advised to opt for better quality ones that will last you a long time. I find that those that are in the lower price range are much lighter and not that stable compared to the more expensive machines. Pasta machines with heavy base is more stable as they are not prone to topple over when you try to roll your pasta dough. Well, some would argue that all pasta machines comes with a clamp to hold the machine down to the kitchen bench top so toppling over isn’t a big issue. Besides that, I find that the lower end machines have poor build quality and not as solid as the top end models. 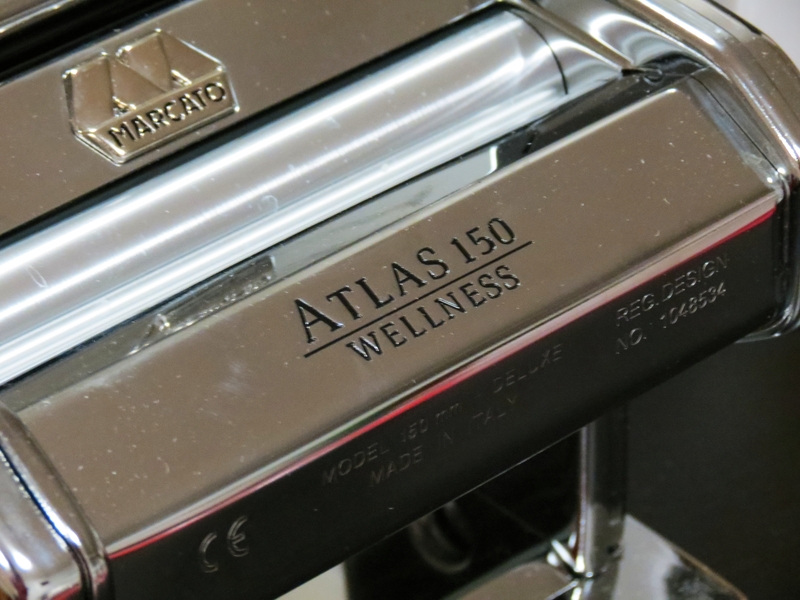 My friends gave me the Atlas 150 Wellness, manufactured by Marcato in Italy. 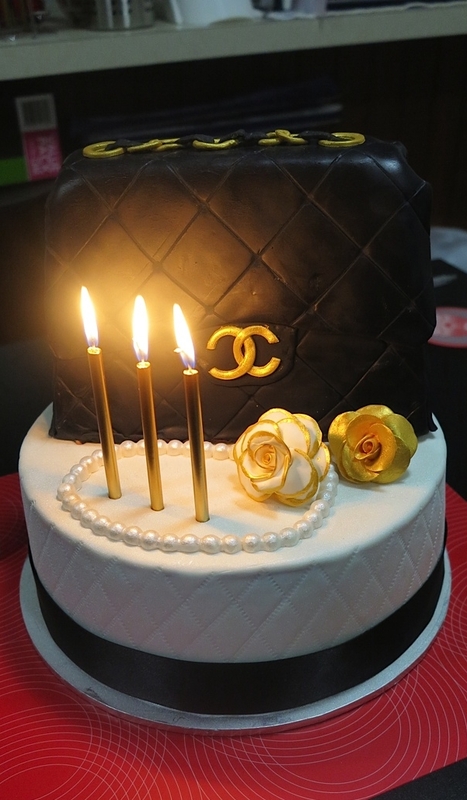 I absolutely adore it! Solid built and easy to maintain. Hopefully, I will be updating my blog more often now with my new baby.